A Swedish news portal has published a recording of a phone call in which a man alleged to be John Dalli's former canvasser Silvio Zammit can be heard soliciting a €10 million bribe from a tobacco lobbyist. "I'm sorry, I'm a poor blonde...I'm a bit shocked here," former ESTOC secretary-general Inge Delfosse can be heard telling the man upon hearing the figure. "I thought we could win this case without having to pay." "I know," the man replies. Seconds earlier and having mentioned the €10 million figure, the man jocularly asks Ms Delfosse if she's sitting down. "I'm almost lying down now," she says. "You're lying down, better have some vitamins," replies the man alleged to be Mr Zammit. The phone call appears to be an abridged version of a conversation between Mr Zammit and Ms Delfosse which was transcribed in a 2012 EU anti-fraud office report which led to Mr Dalli's departure from the EU Commission. The transcript which appeared in that report alleges that a longer, more detailed conversation between the two took place, and the phone recording published by Dagens Nyheter appears to have been pieced together from various parts of that call. In comments sent to Times of Malta, Mr Dalli said that the discrepancies showed that "OLAF has falsified the transcript to try and develop the 'circumstantial evidence' on which they based their fraud against me." The report alleged that Mr Zammit had sought bribes to secure access to Mr Dalli, who at the time was European Health Commissioner, as part of lobbyists' efforts to lift an EU ban on snus, a form of smokeless tobacco usually placed on the gums. Although references have been made to a phone call in which Mr Zammit can be heard soliciting a bribe, the audio uploaded by Dagens Nyheter is the first time a recording of the alleged call has been made public. Mr Dalli resigned in disgrace after then-EU Commission president Manoel Barroso was handed a report by European anti-fraud office OLAF which said he must have known that his aide Mr Zammit had sought bribes. According to court testimony by Maltese police, Mr Zammit solicited two bribes, one of €10 million from Ms Delfosse and another, heftier, €50 million one during a meeting with the boss of snus manufacturer Swedish Match. He was charged with bribery and trading in influence in local courts. 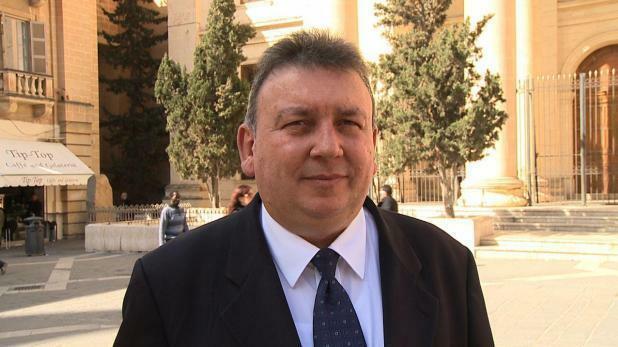 Four years later, the cases remain pending, with Mr Zammit's lawyers having filed a constitutional application claiming his right to a fair trial has been breached by Ms Delfosse's refusal to testify in Malta. In 2016, Mr Zammit had filed a criminal complaint in Belgium alleging that Ms Delfosse had surreptitiously recorded phone calls with him without his knowledge. The calls were reportedly instigated by OLAF. Mr Dalli has insisted he never discussed money with Mr Zammit and that he is the victim of a frame-up orchestrated in part by OLAF's Director-General, Giovanni Kessler. He has also accused the European Commission of closing ranks to protect Mr Kessler and OLAF staff by hindering Belgian police investigations, disregarding its own rule of law principles in the process. "Is this the rule of law that is the standard of the European Union?" he asked, insisting that he had resigned to clear his name and that Mr Barroso's claims that he had forced Mr Dalli to quit after learning of his contacts with tobacco lobbyists was "a lie." The leaked recording, published by Swedish news site Dagens Nyheter, comes just days after it was revealed that Mr Kessler will leave OLAF just a few months before his term is up to take up a specially-created post as a Commission official seconded to Italian Customs. According to Commission minutes of a meeting held on October 11, Mr Kessler's new "hors classe" post will be abolished upon his departure, raising eyebrows among Brussels insiders. The three-year post will also ensure Mr Kessler passes the 10-year service mark required to be eligible for an EU civil service pension. Mr Dalli remarked on the timing of the leaked recording. "As in previous occasions, such stories are regurgitated at a time when Kessler is in a problem," he said.